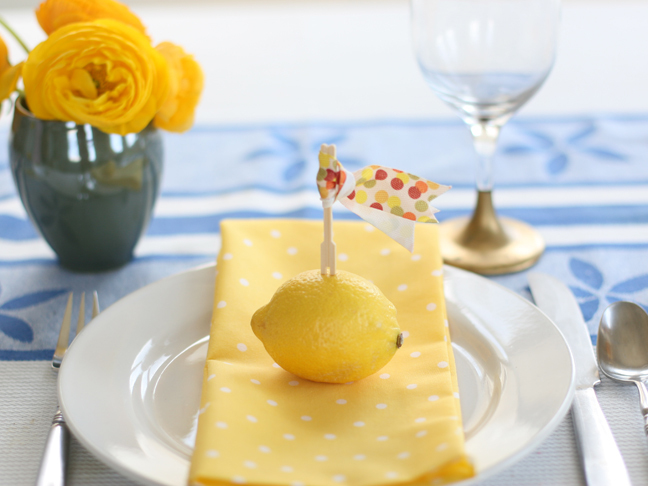 Take a fancy toothpick and wrap piece of ribbon around the top to make a smal flag. 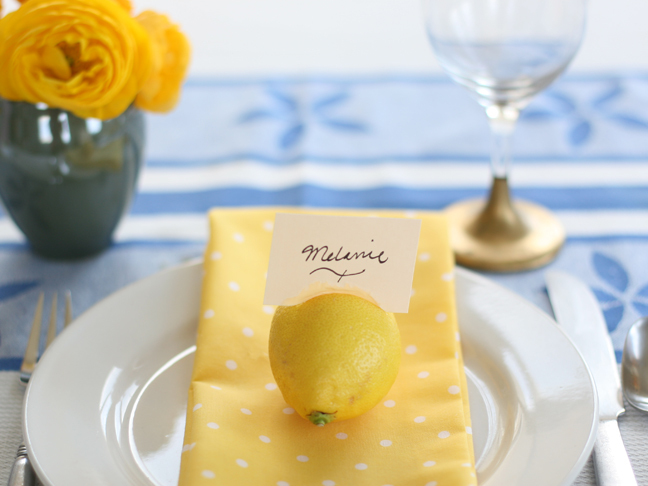 You can also write the guests name on the flag if you’d like. 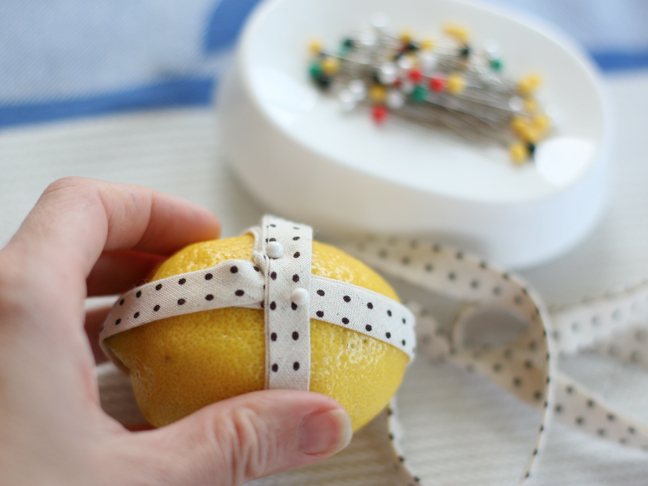 Wrap some bias tape around a lemon and secure with a pin. 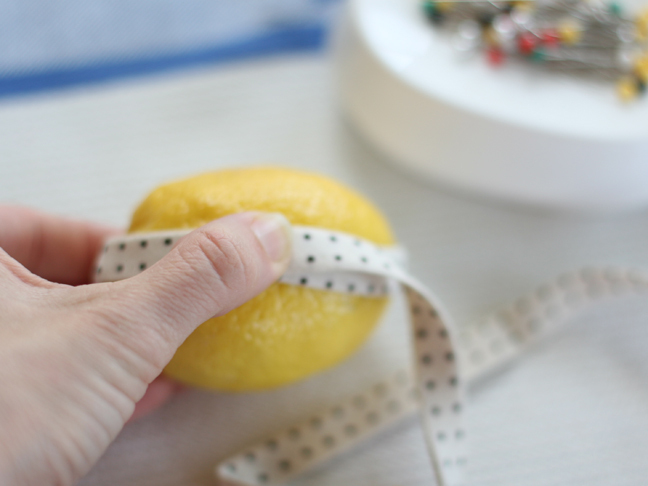 Wrap around the other side. 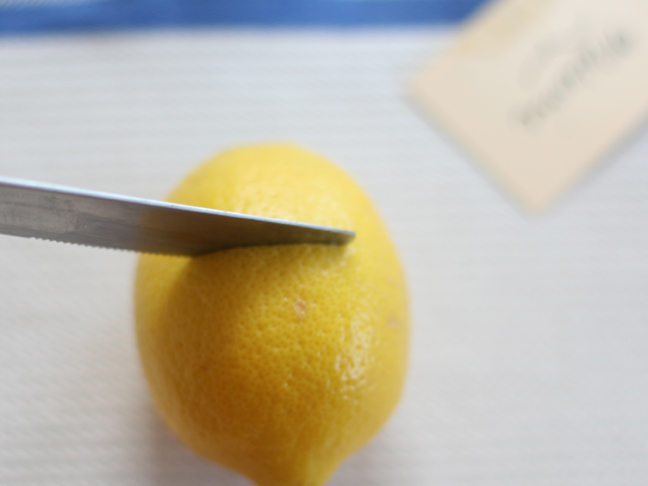 Place two pins to secure. 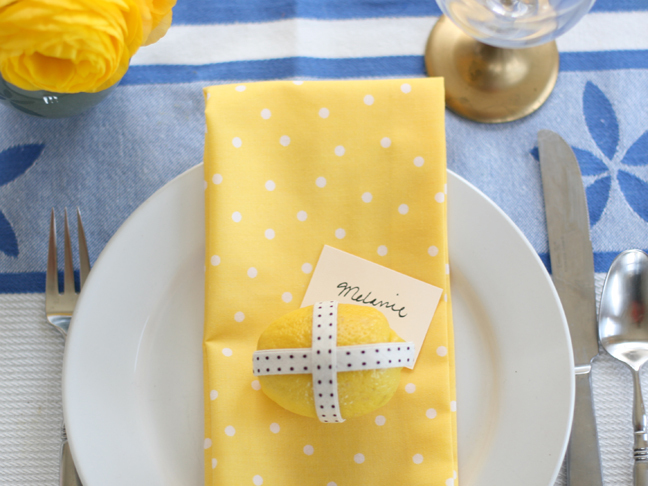 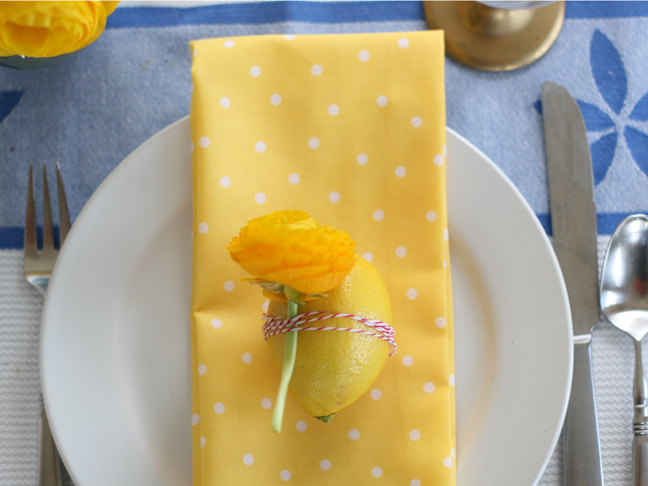 Place the wrapped lemon on your napkin with a name tag under each one.